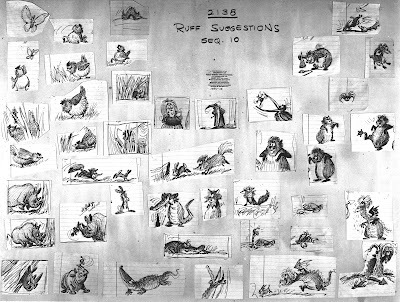 Here is a sheet with more of Bill Peet's ideas for the Wizard's Duel in The Sword in the Stone. All drawn on notepad paper outside of the studio during a trip. Peet's mind at work as he searches for entertaining situations provided by all these different animals Merlin and Mim turn into. 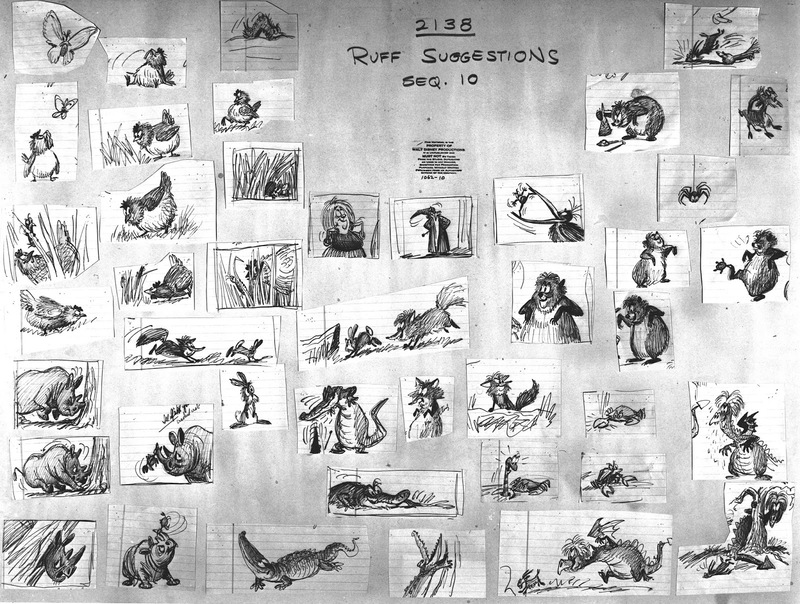 My favorite is probably the sketch on the lower right showing Mim as a dragon tripping Merlin as a goat. It didn't make it into the film, but I love the staging. 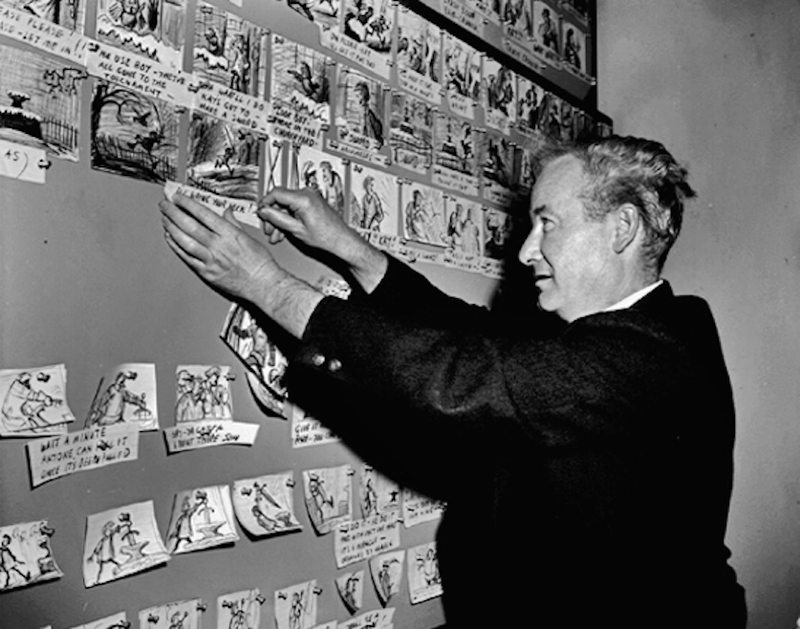 I wished Peet had not quit Disney during Jungle Book, the picture that followed Sword in the Stone. He was just too valuable to the company...but he was butting heads with Walt, and that was it. Years later Milt Kahl would leave the studio prematurely as well...these things weren't supposed to happen!